This week the HLF team enjoyed the warm sunshine in beautiful Northern California. As the children stood at the foot of giant Sequoia trees in the Redwood Forest, or splashed their feet in the vast Pacific Ocean, they’ve beheld the greatness of our Creator in a new way. 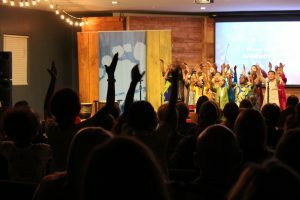 It’s exciting to watch them learn from these experiences and sing, “My God is so great, so strong and so mighty, there’s nothing my God cannot do!” with an even greater energy and enthusiasm. As the tour progresses, the children have seen over and over again that all creation bears witness to the glory and greatness of our God! 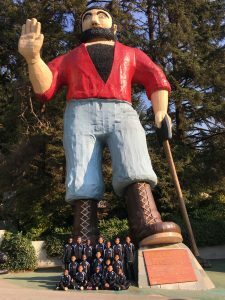 The children standing by Paul Bunyan at Trees of Mystery near the coastal town of Klamath, California. 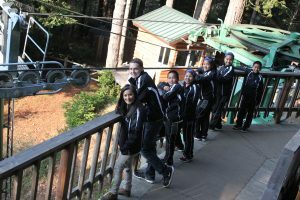 We enjoyed the breathtaking view as we rode the Gondola over the Redwood Forest near the Northern California coast. It was beautiful! 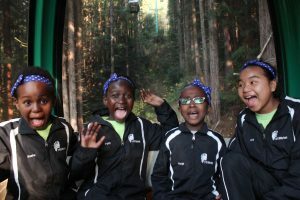 Sasha, Faith, Wanja and Kimi’s reactions as the Gondola lifts them off the ground! 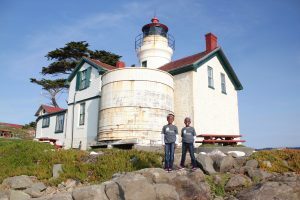 Sasha and Wanja at Battery Point Lighthouse on the Pacific Coast. 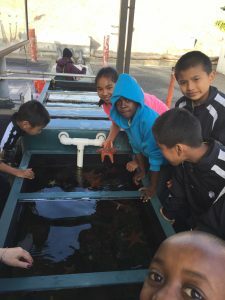 The children loved the aquarium and tide pool at the Humboldt State University Marine Lab in Trinidad, CA. 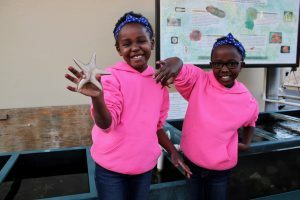 Sasha and Wanja holding starfish! 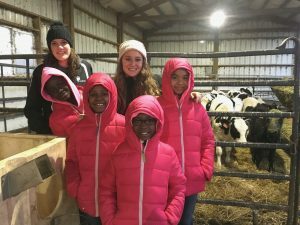 Auntie Megan, Auntie April, Faith, Sasha, Wanja and Kimi touring a Holstein Dairy Farm in Hydesville, CA. 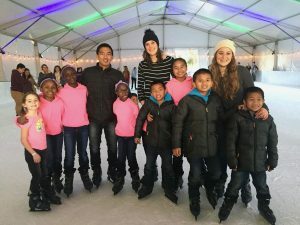 The children ice skating for the first time! 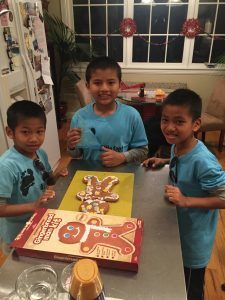 Mawimawia, Rema and Dawngdawnga decorating a giant gingerbread man cookie. 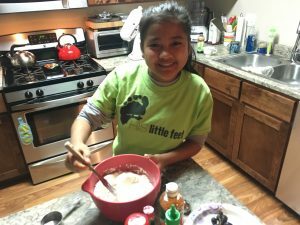 Hruaii learning how to mix brownie batter with her host home in McKinleyville, CA. 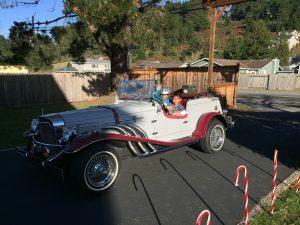 Brothers, Dawngdawnga and Mawimawia, admiring their host home’s antique car. 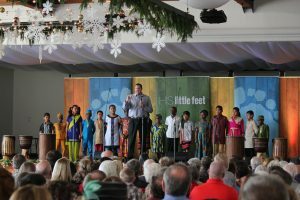 Uncle Mikey and the HLF choir advocating for orphans and vulnerable children with Hydesville Community Church at the Fortuna River Lodge. So precious to have children from Calvary Way Church congregation join the HLF choir in worshiping God in Ukiah, California.